I shot this photo on August 10, 1963. Uncle Bruce was a great local kid's show. Hosted by Pastor Bruce Rodrick, the show had the usual peanut gallery of children and featured Mr. Magoo cartoons. The real draw was Uncle Bruce himself, a talented host who was also a ventriloquist. With his dummy, 'Little Mike,' and a cast of animal puppets including 'Bushy' the squirrel and 'Zookey' the crow, Rodrick promoted higher morals and behavior to the young viewers. Rodrick originally hosted a Sunday morning program on Channel 8 called "Kids Bible Club." The program's format included Bible drama performed by a cast of puppets, songs, and a Bible quiz. "Kids Bible Club" became very popular and Rodrick was soon given a weekday program called "Kid's Carousel," which was later re-titled "The Uncle Bruce Show." Rodrick continued to host the "Kids Bible Club" which taped every Tuesday evening, allowing him to be with his congregation on Sunday mornings. Shortly after starting the daily show, the reality of working in the world of commercial television became crystal-clear. "I had assumed that if you did your best and turned out a good show all was well," explains Rodrick, who is semi-retired and living in the midwest. "When I learned how competitive it all was and that my job depended on the ratings the whole thing took on a new atmosphere not to my liking. However, by the end of the first year, we captured first place and held it until the daily live programming was stopped for the very reason you described in "The Mary Ellen Story". Money!" One of the aspects of the show that made Uncle Bruce a ratings contender was the addition of a new character: Barney Bungleupper, a clown cast in the tradition of Emmett Kelly and Red Skelton's 'Freddie the Freeloader.' Played by director Jerry Martin, Barney provided an ideal foil for Uncle Bruce, and when they went on location for adventures like "Monster of the Amazon," ratings went up and up. The adventures were filmed on 16mm by Rodrick, who pressed wife Marj into service as camera operator on many occasions. 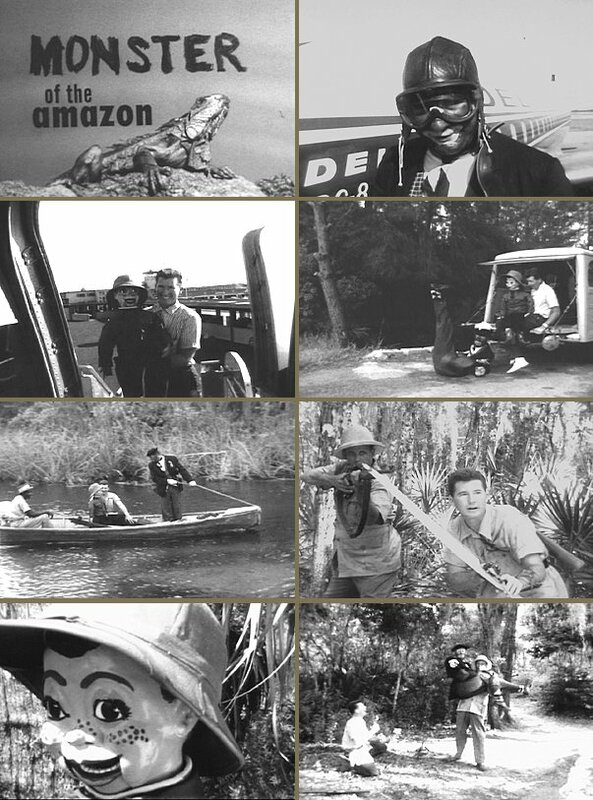 Stories were photographed at Cypress Gardens, Six Gun Territory, and in the nearby forests of Hillsborough County. Uncle Bruce adventure filmed in 16mm. 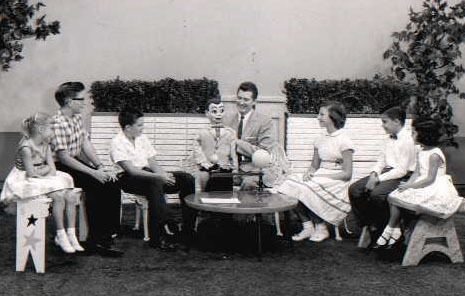 Uncle Bruce also had the unique opportunity to be broadcast in color for a day in 1963 when one of NBC's color mobile units set up shop at WFLA. I had the pleasure of being on Uncle Bruce's show for my 11th Birthday, August 10, 1963. Sitting in his 'peanut gallery,' I observed that Uncle ' B' had a little more production value and a better set than Mary Ellen's. "We had some glorious times together at WFLA," recalls Rodrick fondly. "After the daily "Uncle Bruce" show ended, we continued to tape our Sunday morning "Kid's Bible Club" and did the lead-ins for the Saturday morning lineup for a while. One weekend I went to a Christian Convention over on the east coast of Florida and there was a speaker on the program that really struck me with his presentation and the message that he gave. And I felt like I ought to go back to preaching…that was what I was supposed to do. Maybe it was the Lord speaking and he knew what the future held in television, because at the time I felt secure, but the way everything turned out later on I'm not sure it would have lasted. So, I think by God's grace I got out of there at the right time. I accepted a call with a church near Atlanta, Georgia. While there I also did puppets for a live Saturday morning show called "Funtown" on Channel 4. 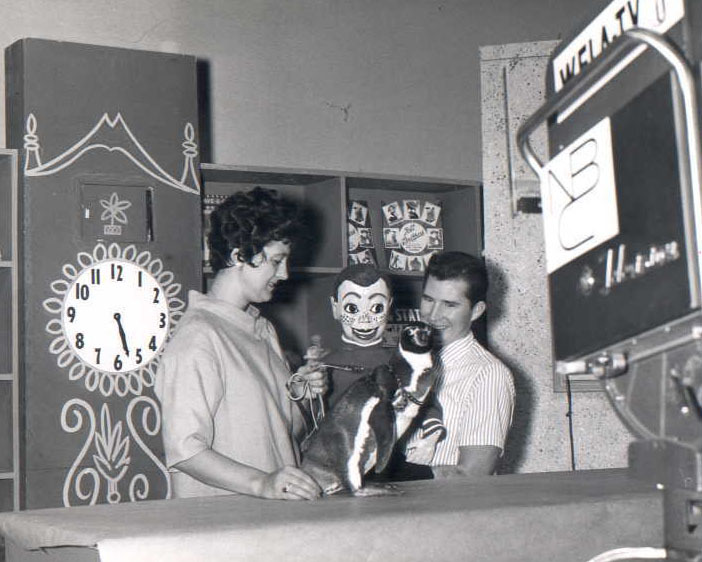 A few years later I worked with a nationwide TV ministry called "Revival Fires" where I did a children's segment using my puppets and ventriloquism." Pastor Rodrick graciously allowed 'Big 13' to interview him about his life and the times he spent at Channel 8. To get the full picture of 'Uncle Bruce' Rodrick, CLICK HERE FOR "SAY 'UNCLE'...'UNCLE BRUCE, THAT IS!"